‘Some people dwell on it to a point of weakness, letting it consume them and slowing them down in life.’ It wasn’t that racism turned into a non-issue for him, only that he believes that he has increased his effectiveness in life, and Sweden (a very Blond country but accepting nation), by not trying cure bigots or dwell on the issues. He had an interesting bit to add to this regarding Sweden’s view of blacks: He attended a Swedish party where he only knew the person who arrived with. His friend went off to mingle, and Detroit felt like he was in a place where no one wanted to talk to him. He wasn’t sure what to think, but then when his friend returned and introduced Detroit to the other Swedes as an African American (from Detroit, of all places), he was all of a sudden the most incredible single thing at the party. He was surrounded and jumped with questions: ‘Oh wow where do you live what’s it like?’…’I saw this movie about Slavery and…’ It was Detroit’s impression that an African from Africa is far less exotic and interesting than an African American. It seems that the Swedish have received a very thorough history of America from their obsession with American culture. After this little anecdote, Detroit turned to the Swede and told him to tell us how much the Swedish love America. The swede nodded and Detroit went on about how most Swedes have an American accent when they speak English from their love affair with American movies. Though it was nice to hear all this, I was missing great Johnny Cash cover songs in the other room. They are huge on design. Everything has two elements: form and function. My destination after Sweden was Denmark, a slightly less affluent and noticeably less posh Scandinavian country. I knew I was in a different production psyche when the door on a train station bathroom stall closed with a degree of force I was unaccustomed to. And then from Copenhagen to arrive in Italy! It was like going from a hibernating sleepy people to a springtime festival of screaming and put put Vespas. I have no home but the perfectly engineered sack on my back and I’ve set it down in front of 6 hostels so far to check in. I book through hostelworld.com, where I pop in the country and city of my next destination, and sort the results by price. I then read the reviews to make sure it isn’t more then 15 minutes from the city center. 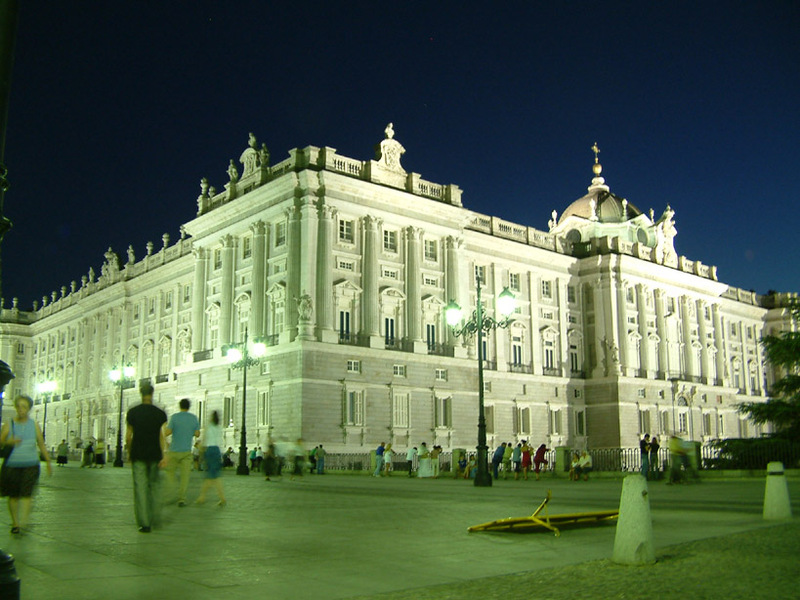 Most have expensive internet access, but the hostels in Copenhagen, Lucca, and Florence, Barcelona and Madrid all provided free Internet. In Cork, Ireland, I restarted a 1pound per half an hour computer, hit f8 while it was booting up, and went into safe mode, essentially disabling the soul sucking charging part of the computer’s life. At that particular hostel, I woke from a strange dream of upside down trees and lampshades to the sound of what could easily pass for a Bolshevik conspirators gala. A gaggle of Russians had arrived late in the night and were forcibly whispering their confusing Ruski-speak as I tried to find my bearings after the strange dream. The same night was woken from the shaking of a drunk old man climbing onto the bunk above me, cursing at his wet socks in typical Irish fashion. However most nights I sleep like a dead baby, but I wish the worldwide standard of bed lengths was a few inches longer. Here’s an example of how I get from one city to another. Total cost: $30. Copenhagen to Rome. After saying goodbye to the city of Copenhagen for the time being, I took the ultramodern commuter train to the airport, about 10 minutes from the city. I arrived quite early, so I found a comfortable slouchy leather chair and read some of my book ‘World’s that Weren’t’ about alternate history. Denmark’s system of doing anything is smooth and clean like white cream, and I’m airborne in no time chatting with a Dane who gives me half of his massive Cadbury chocolate bar, an infusion of sugar that keeps me staring energetically outside at the passing Netherlands. I had to spend a night in London’s Stansted after flying from Copenhagen to catch the next morning’s early flight to Rome. I figured if I went to sleep I would miss my flight and tear my eyeballs out, so I bought the Da Vinci Code, and read it from 8pm till 5am the next morning under a yellow sign that said ‘Way Out.’ This was not the unpleasant part. The book was awesome. When I got on the RyanAir flight, I was unable to get an exit row, and I ended up between two smelly men with nary enough leg room to breathe. Unless I wanted to dig my knees into the metal bits behind the chair in front of me, I had to sit up completely straight for the 3 hour flight to Rome. I was dizzy with sleepiness (my English is getting poor… I can’t tell if sleepiness is the correct word there) and I was forced to gaze at the airplane safety diagrams plastered to the back of the seat in front of me. If I started to fall asleep, my posture would slack, and I would jam metal up my knee caps. But all that was quickly forgotten when I saw my awkward looking commando bag coming out first in Ciampino airport in Rome, and I switch to the present tense and find myself inwardly giggling when I notice I’m in the most foreign country I’ve ever been in. It’s warm like a sunny summer day in Los Angeles, there’s scooters everywhere, and wrinkley men asking me in German if I want a taxi. Do I look German? Maybe. I have to take my sweater off it’s so Italianley warm, and I end up buying a ticket for 50 euro cents to the outlying metro station from a woman with gold canine upper teeth. Then I wait on the bus for 20 minutes with the rest of the dazed travellers as Goldy chats with another bus driver. I try to stay awake, but it’s no use. I wake up a couple minutes before we arrive at Anagnina, the farthest subway station from the center of Rome. There’s graffiti everywhere.. on the subway, walls, floor… very quick and dirty, like a herd of teenagers with spray cans were told to cover every surface in 20 minutes. I take the subway to Termini, the central metro station, and hub of transport in Rome. I’m the tall stubbly guy in a green shirt with the biggest backpack you’ve ever seen, swaying with the subway car’s movement in an unnatural, sleepy way. It’s loud and smelly, and the suddenness of my departure from the wealth and black wool+leather posh styles of Scandinavia crashes down on me when I see a young couple board with a child and accordion in tow: The woman has her 3 month old baby attached to her front, and as the man sets up a small amplifier and a tinny beat from small speakers and takes his accordion out of a dirty case, the woman addresses the packed and boisterous subway car with ‘Grazie, Tutti, Grazie.’ [Thanks, Everyone, Thanks] After these words the man begins an upbeat familiar Italian song, but stops midway, turns off the beat, and the woman cries again ‘Grazie, Tutti, Grazie.’ The man plays one more number with beat accompaniment, then the woman goes around with a small jar for collections. She gets about 5 euros, then I have to get off with the rest of the crowd at Termini. I switch lines (there are only two in Rome) and get going towards Policlinico, my stop. I then walk a mile to Hayley’s apartment, guided by directions emailed to me a week prior. It’s noon, a couple hours after my plane touched down, and I’m finally at the door of the place I’ll be staying. The first moment when I don’t have to be going somewhere in a new city a flood of images and sensations takes me over. It’s very relaxing, and every crack in the pavement becomes a new slice of the Roman case study. Hayley shows up, I lug my crap up 4 flights, then I collapse in a heap after a real shower. This is my mixed up life, at least for the getting to’s and leaving froms. Earth shattering collection of Renaissance art in the Uffizi Gallery, and a very well maintained royal apartments setting for a large collection of Vasari and the like in the Pitti gallery. The Pitti museum was once the vacation spot for Napoleon and a long line of royalty and famous folks. It’s very near the birthplace of my dear friend Niccolo Machiavelli. It’s a collection of 5 towns strung together by Rail from the departure point of La Spezia centrale. Day tickets are about a eurodollar, and allows for unlimited travel between the cities. Hiking between the cities is possible, but it’s another 3 euros. It was raining steadily the whole time, so we really didn’t get that glowing Mediterranean charm in our bones, but it wasn’t hard to imagine a brighter town as charming as the first one we saw. We didn’t see a soul in the first town, and went on to the next, but decided to head to Pisa while there was still the slight possibility of daylight. It felt like we were walking in an ex Olympic town with flourishes and white columns that contradicted the demeanor of the city-folk. There were hammer and sickle graffiti tags everywhere, and the Nigerians selling fake purses and belts looked sadder as each new turist walked off the train and past them. I could be just what happens to a place in the off season with only one main attraction like Pisa. Even past siesta, only the phoniest Glacerias and Cafes were open. It was a sad walk from the train station to the leaning tower. We heard almost everything BUT Italian when we arrived in the big grassy complex of Marble Buildings that at one point represented all that was perfect and braggable about Renaissance Italy. Then, as the story goes, 2 years pass and the tower begins leaning south, almost as if it’s trying to get away from the pompous group of carrara marble buildings that surround it. Because it’s now a Unesco World Heritage sight it’s been looked after very well, and most recently was completely digitized and analyzed by computer to see how it’s been holding up. Thankfully, the sun showed it’s Italian face just in time for me to hide behind a church (still in view of the tower) and take a long satisfying nap. Then we set off for Lucca, and arrived past sun down. We walked out of the train station, and saw a strangely illuminated wall… something you’d see in Adventure Land Disney, or in a sodium-bulb lit walled exterior of an apartment complex in the Hollywood hills… only to find that it was a real wall, that we could cut through via a paved walk across a stream and a series of dark and narrow stairways through the thick walls. We climb the Guinidi tower, stroll around several churches, and dine on sombrero-sized pizzas for lunch before heading off to Bologna. 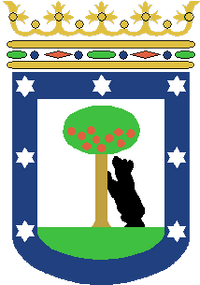 The Madrid Coat of Arms: A tricksy bear. 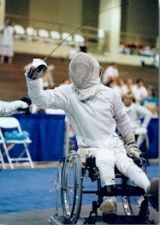 yeah, wheelchair fencing. and even better, a sabrist. fencing is wonderful. if you have the opportunity to see any world cups during your travels, do so for my sake. i bet i’ll know a lot of the fencers there. i miss you danaba and it sounds like you are having n absolutely wonderful adventure. perhaps at some point, i can meet up with you!